Promac Chalk Walls Paint is a unique decorative quality coating that inspires creativity. 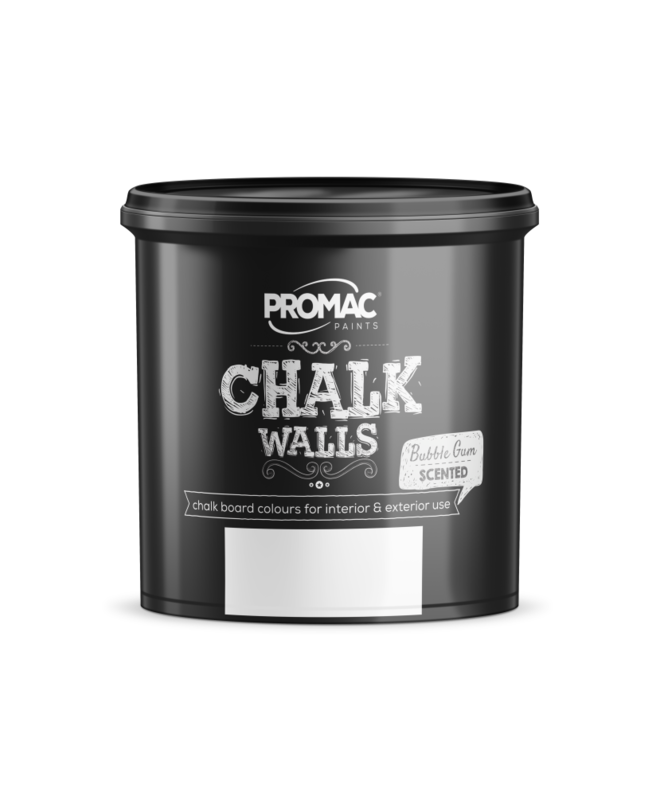 This Specially formulated scented acrylic coating allows for chalk writing on a variety of suitably prepared surfaces. It's anti-skid / anti-glare matt-finish cleans easily and is ideal for schools and creative areas. It is a dense acrylic coating with a matt finish developed to be used on suitably prepared plaster, fibre cement, stone, brick, concrete, plastics, glass and metal. This product will cover approximately 8 m² / litre per coat depending on the type of substrate and surface porosity. Apply using a quality paint roller, brush or airless spray.